When I think of fairytales, castles definitely come to mind. 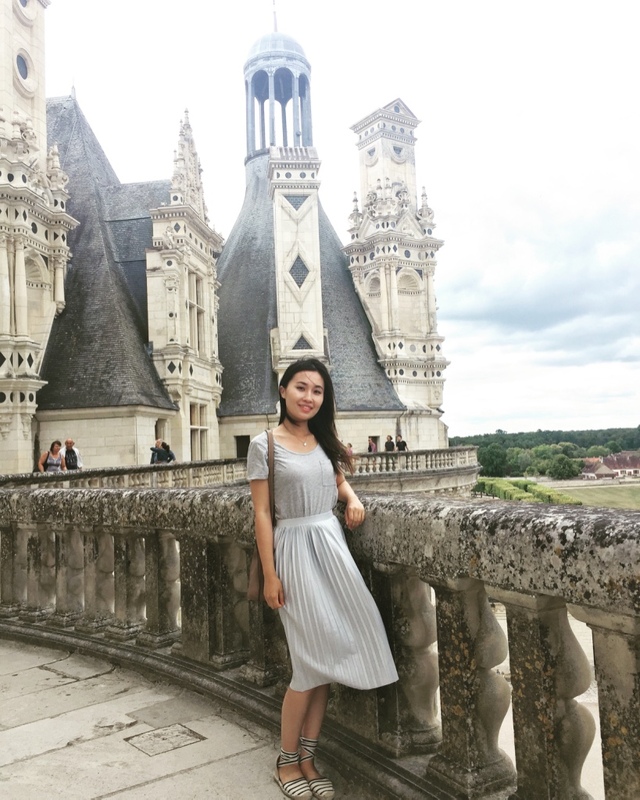 A couple weeks ago we went to the Loire Valley, located in central France, and toured Chateau de Chambord and Chateau de Cheverny. They were both breathtaking and felt like I was in a fairytale myself! 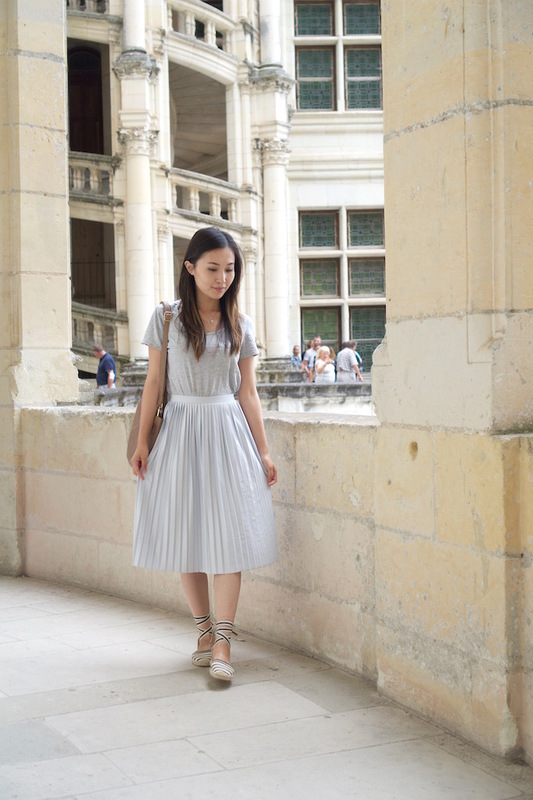 To dress the part, I wanted something flowy and pastel and this baby blue midi skirt did just the trick (I think I was trying to go for a modern day Cinderella). My princess sandals gave a feminine touch as it wrapped around my ankles, and it was also very comfortable to walk in! My favorite was Cheverny. 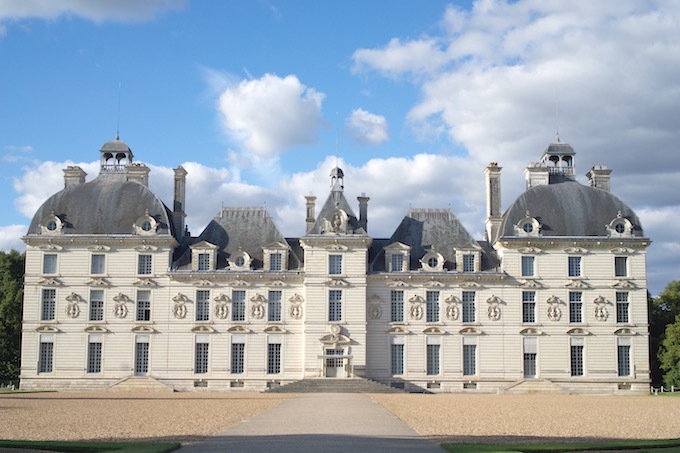 It was like stepping back in time since this is one of the rare chateaus that was untouched by the French Revolution. 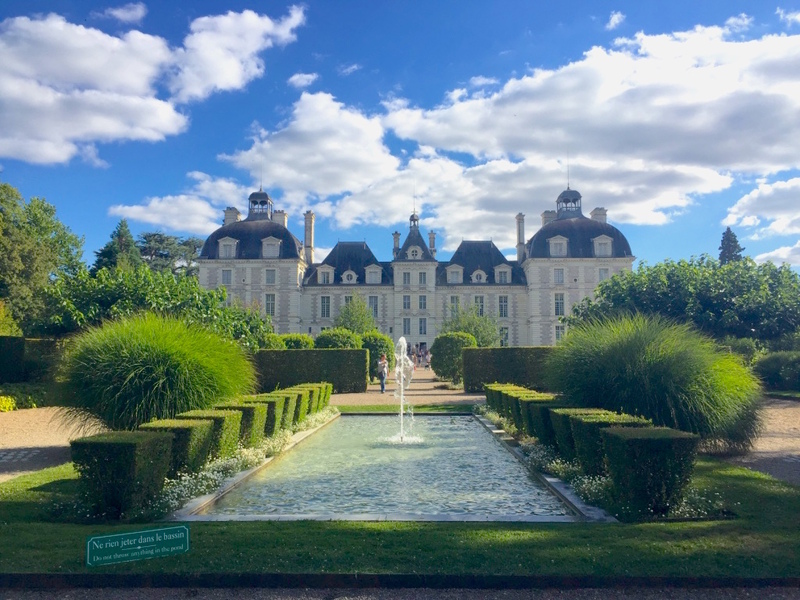 Till this day, it's still owned by the descendants of the Hurault family, whose ancestor Henri Hurault was the treasurer for Louis XIII. 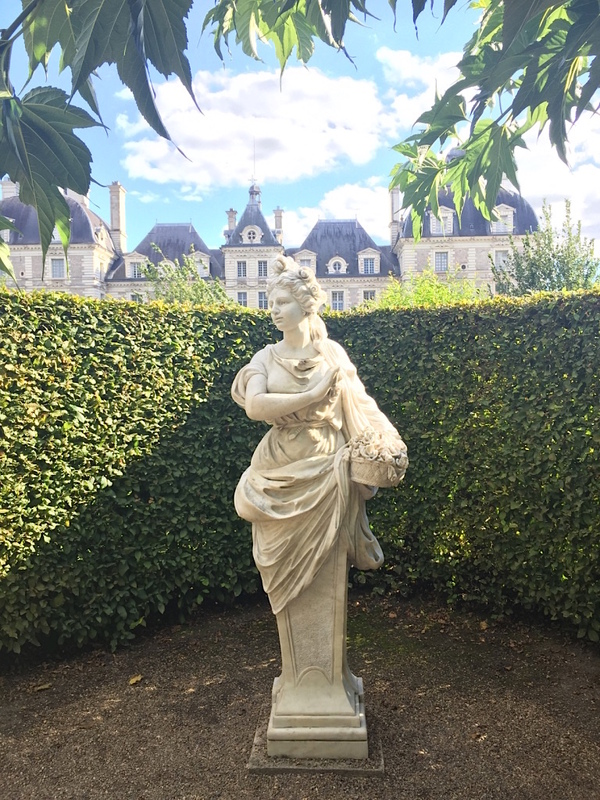 Cheverny also had the best gelato I've ever tasted! 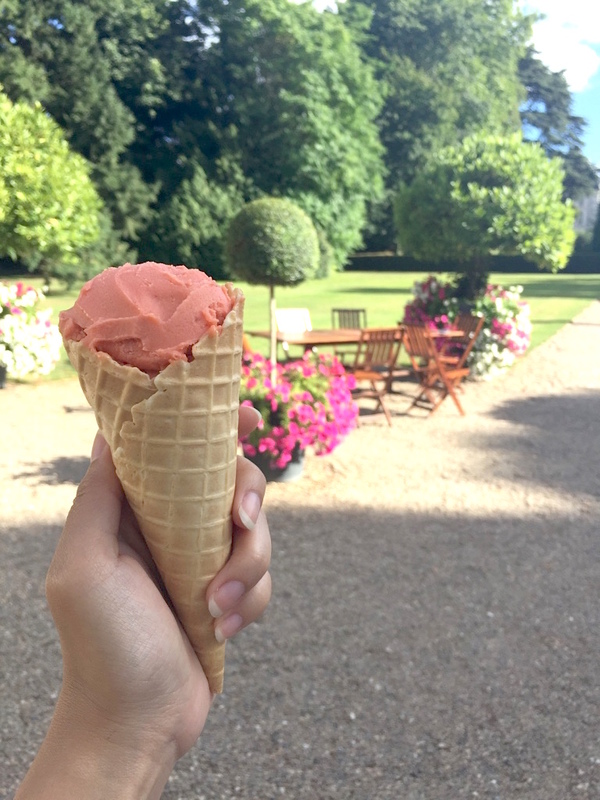 Located in the back of gardens, this small cafe offered a variety of snacks and this fantastic gelato. I opted for the Cheverny, which was a mix of raspberries, strawberries and white chocolate! It was so amazing - thinking about it now makes me hungry! 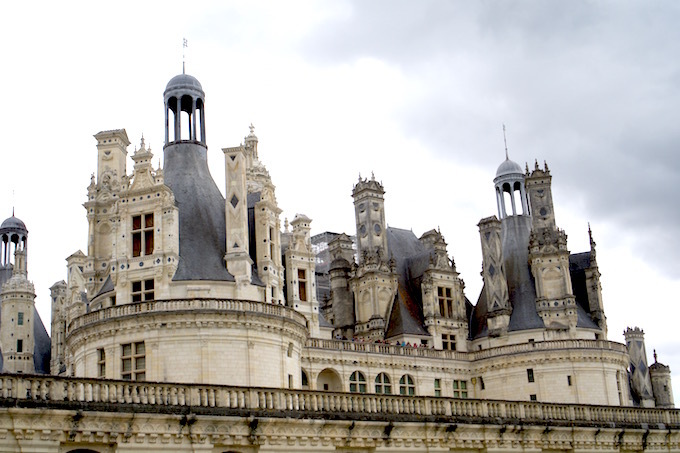 Chateau de Chambord is the biggest and probably most well-known chateau in the Loire Valley. 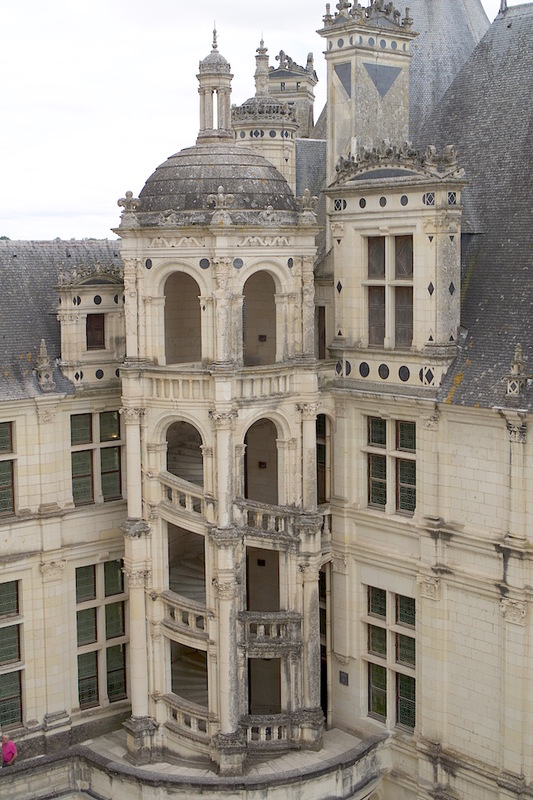 It was built by King Francis I originally as a hunting lodge (the French sure do like their hunting), but eventually expanded into the castle we see today. 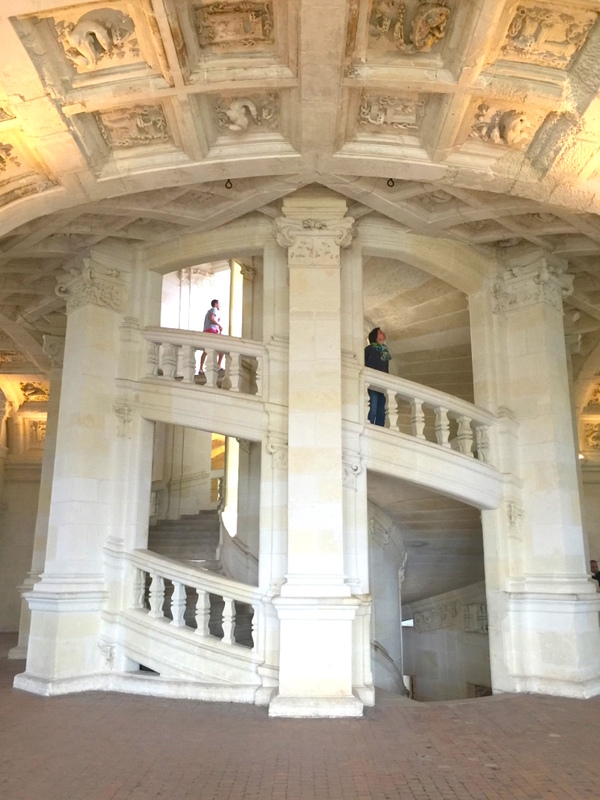 The famous double-helix spiral stairs inside Chambord. This is actually two sets of stairs that both wind around a central column, so two people could go up the stairs at the same time and never meet. 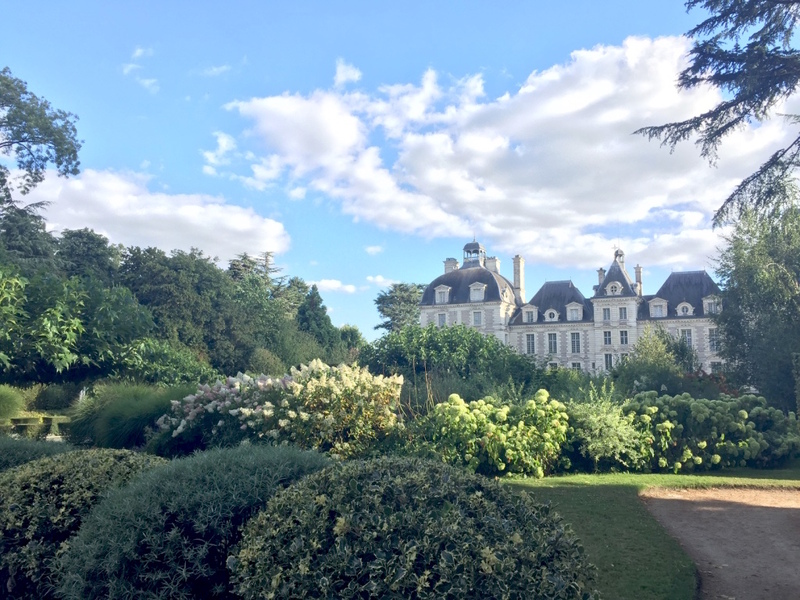 It was definitely a nice excursion just a few hours south of Paris. After all the museums and the hustle and bustle of the city, this day trip was like a breath of fresh air!